Police in Larne are appealing for information following a burglary at the weekend. 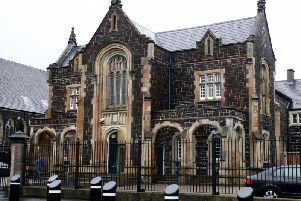 The break-in occurred at Station Road, Larne, between midnight and 5.00 am, on Sunday morning. If anyone can assist with police inquiries, they are asked to ring the PSNI on 101 or anonymously by ringing Crimestoppers on 0800 555111 and quote serial 512 28/5/17.